Year-in-review lists are pop up all over the place at this time of year and we thought we’d jump in on the fun. Here are our top 10 posts about social media, associations and big data. The Post In One Minute: Creating the right culture at and around your association is important to growing membership, retaining the members you have, fostering trust and encouraging innovation. Social media can help your organization create a culture of knowledge by connecting people in the industry with information from the association or other sources. It can also create a culture of customer service and community by connecting members with quick answers to questions and by sparking conversation between colleagues. Finally, it creates a culture of excellence by making it easier to recognize members for their accomplishments and highlight the association’s role in their success. The Post In One Minute: Membership drives are important as this is the time when most associations put the bulk of their resources into recruiting and retaining members for the upcoming year. Integrating social media into this process requires associations to break down their target audience by need/want and tailor their social media content to those necessities. The article outlines five different member segments; the long-time member, the lapsed member, the never-been-a-member member, the new-to-the-industry member and the business member. The piece explored the different perspective of each group and how to use social media content to connect with them on their level to highlight the association’s value. The Post In One Minute: Analysis is a constant in life. Just like you have to frequently check your mirrors and blind spot while driving, it’s crucial to keep yourself updated on the success (or lack thereof) of your association’s social media accounts. This article outlined the five Cs by which you can start to grade your social media efforts. Consistency (how often you post) was first, followed by creativity (how original and engaging is your content). Completeness (the degree of detail in your account’s design and layout) came next and then calculation (how often you measure your goals and progress towards them). The last C we covered was crowd (who your audience is made of and how many are in your target demographics). The Post In One Minute: Yes, we know, you’ve heard the term ‘Millennial’ so many times, it’s starting to lose meaning. But recruiting this younger demographic is important to the sustainability of your association. Surveys say that Millennials value education, networking and access to professional articles, publications and best practices above all else. The bottom line is, Millennials love information. Social media is a great way to connect this younger generation with the information they crave. When your association is doing the connecting, it becomes valuable to these young potential members, making it likely that they see long-term value in your organization. The Post In One Minute: Rooting around on the internet for social media content can be quite a chore for the busy association professional. We tried to help a little by uncovering five places where great content might be hiding. The first resource was hashtags, which help you connect to the content your audience finds most valuable. The next was the other offline communication channels your association puts out, like magazine and newsletters. The article also pointed out that your association can take trending topics or the latest news story and find an angle that is relevant to its members. Your association can also ask its staff or board members for any interesting tidbits they might know about. Lastly, the article says to not be afraid to create your own content. Make a video, write a blog or create an infographic and then share it all over the place. The Post In One Minute: Gamification is an oft-used buzzword these days, but the concept of using games to engage people in an initiative is a long standing one. Including elements of gamification your association’s social media efforts can have a profound affect on the involvement of your target audience. The first element you can include is mystery which can be achieved by asking an association-oriented trivia question or initiating an online scavenger hunt. The second element is reward, which can be achieved by starting a social media content (such as nominating topics for a webinar and voting for the best idea) and giving a prize to the winner. The last element was storytelling which can be achieved by following around a first-time attendee at your conference and dedicating Instagram to their experience or even just live-tweeting an event. The Post In One Minute: Micro-volunteering is all the rage among associations and their members, especially the younger ones. As work life becomes busier, members aren’t so keen to put more on their plate by volunteering for time-consuming committees or long-term projects. Social media offers a chance to give members an opportunity to do small, manageable tasks that help their professional development and the association at the same time. Members can moderate a Twitter roundtable or Twitter chat, be a “guest-manager” on one of your social media accounts for a day, cover an event through your association’s platforms (live-tweet, live-blog, Instagram, etc) or take part in “social media tag” which means giving a shout out to your association and passing it on. The Post In One Minute: Sponsors and the money they bring in are an integral part of an association’s short-term and long-term success. Social media can be a key cog in boosting value for sponsors, making it more attractive for these contributors to keep giving and for new ones to start a partnership with your organization. Your association can highlight the benefits of a sponsored program in a quantifiable way with an infographic, thus attracting more attention to the sponsor. Creating a unique hashtag for a sponsored event or initiative that mentions the sponsor is another great way to continually boost the profile of a sponsor. Lastly, teaming up with a sponsor to do a social media contest is a great way for everyone to win and to broaden the reach of the sponsor’s brand. The Post In One Minute: Here’s how the 80/20 rule on social media goes; 80 per cent of the content you post should not be a direct sales pitch and the other 20 per cent should be a direct pitch. No one wants to hear about how awesome your association is all the time, they want to see why you’re so awesome. The best way to show this value is by providing valuable, engaging content that your target audience is going to want to see every time they come online. Find the content that your members are wanting to see and post it. Once you have their attention, feel free to sneak in a little promotional material from time to time. People will respond better when they know that your organization is not only focused on extracting money out of them, but also providing an great experience they can engage with. The Post In One Minute: Marketing General Inc. released a benchmarking report in November detailing the social media efforts of associations. Among the interesting takeaways we pulled from the report were that blogs were being underutilized by organizations (only 26% maintained a blog). Furthermore, associations were relying too heavily on the number of likes, follows, etc., to tell them if they were having online success when they should be looking at other, more significant data, like interactions and impressions. Lastly, we concluded that too few associations were posting properly on Facebook with almost less than a third of organizations posting between one a day and one a week; otherwise known as the Goldilocks Zone (because it’s just the right amount). The holiday season looms and so too does the annual, end-of-year office shut-down. As the year draws to a close, you’re likely taking a few days off, whether it’s an organization-wide policy or a choice to spend a few days off to be with family and friends. This rest and relaxation doesn’t usually come without a flurry of activity right around now, especially for marketers and communication personnel. You take time off from work, but your audience rarely takes a day off from Twitter, Facebook, Instagram and so on. This means that you will most likely be scheduling posts to go out on social media ahead of time. If this is your first go-around or even your tenth, here are a few tips to keep in mind when scheduling social media posts during the holidays. Hootsuite is the go-to platform for managing all your social media accounts in one place. It lets you schedule dozens of posts ahead of time on Twitter, Facebook, your blog and Instagram. It’s easy to use and allows you to set specific dates and times of scheduled posts, suggests the best times to post based on your audience’s patterns of use and gives you the option of attaching images and tracking the success of your posts. It’s the holiday season so relax a little bit. Your audience has just come off more than a month of intense marketing from all corners of their life leading up to Christmas and is probably looking forward to enjoying some lighter content on social media. It’s not wise to manipulate the message of the holidays in order to draw attention to a money-making opportunity for your organization. Read the room and save the subtle sales posts until after the season. This is the flip-side to the previous point; everyone is having some fun and taking a day or two to get work out of their mind so you might as well join in. It can be as simple as wishing your audience a Merry Christmas or Happy Holidays. Schedule this message to go out with a cute picture or fun video greeting from your staff. Add some seasonal hashtags to the mix and keep it short and sweet. No one wants to spend all day on their phones during the holidays! It’s very tempting to schedule a post talking about a white Christmas or snow or cold temperatures, but try to hold yourself back. As we all know, the weather is temperamental so making any claims, as whimsical, fun or clever as they might be, will just look downright silly if the climate changes on you down the road. This goes for any element or even that could change. Stick to safe topics and put a creative spin on them if you want to go outside the box. We know, we know, it’s the holidays and you don’t want to think about work, which is why you’re scheduling posts in the first place. The reality is, being a social media manager is a 24/7 job. The Twitter account or Facebook page is often the only line of communication a member, client or customer has with your organization during the holidays. Check in with your accounts every so often, even if it’s once a day, to answer any questions and respond to interactions. This small effort will make your scheduling binge worth every bit of extra work. Your don’t need to tell your audience that the entire office is leaving to work on their tan in the Caribbean, but it’s always a good idea to let them know your holiday office hours. Schedule regular posts telling your audience when you will be closed, when their will be reduced hours, when you’ll open up again and how to contact someone in an emergency. People will appreciate having this knowledge as it will save them time and plenty of inconvenience. The Humans of New York (HONY) Facebook page tells the stories of “regular” New Yorkers using photos, quotes and short stories from the lives of the subjects. The page has over 16 million likes and has spawned best-selling books, speaking tours, massive philanthropic projects and more. Each post tells the story of someone’s life from their perspective. The end product is content that is interesting and easy to relate to. Not only do people engage with the content, they also go a step further, offering words of support or a financial investment in some of the projects HONY is involved in. This is because the stories give the audience a stake in the outcome. 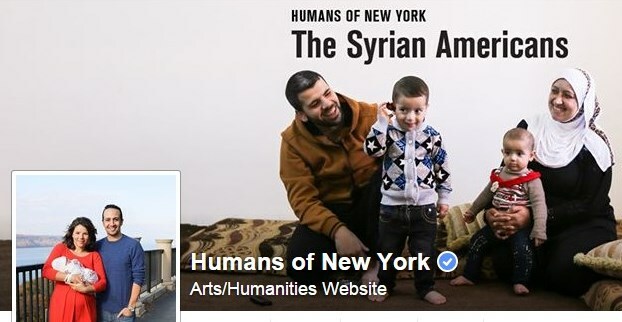 The best lesson from the success of HONY’s Facebook page is that stories sell. The next time you want members to have a stake in the outcome, and therefore be more likely to engage and invest emotionally, financially or otherwise, tell a story. Profile a member, do an interview with a staff member, create a video about the associations history or create any other content that shows the value of your organization from an intimate, human perspective. Make numbers into a story or weave a tale around an announcement or press release. Words are transformed into emotion when they come from someone members can relate to. 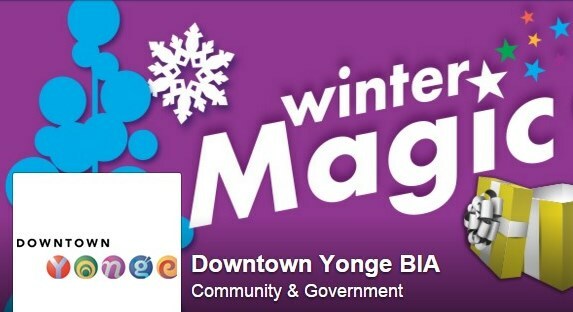 The most significant lesson associations can learn from the success of the Downtown Yonge BIA’s Facebook page is that highlighting members while providing practical, career-enhancing information is an effective strategy. As we mentioned in the HONY example, telling your members’ stories is always a great way to go and if they’ve accomplished something awesome, don’t hold back in telling their story and patting them on the back. It is also important to add some practical advice into your recognition of members. Find out how other members can achieve this same level of success or if there is a lesson that can be learned and implemented across the industry. This way, you are not only giving one member an added benefit, but also proving your value to many other important members of your target audience. The MLS is trying to promote soccer in a country where baseball, basketball, football and hockey are well-established an immensely popular sports. It’s been, for the most part, very successful in growing the game’s profile and the Facebook page is a big reason why. The page has over 1.9 million likes and routinely receives thousands of interactions on each post. The page does a fantastic job of using pictures and video to keep fans up to date and involved in the league’s activities. It posts interviews with players, recaps of games, great photo albums and short updates on games in progress. This all combines to provide a great experience for the audience and keeps them coming back again and again. 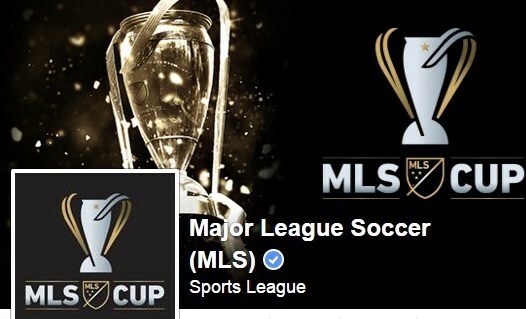 The best takeaway for associations from MLS’s Facebook success is to create a great experience for its members. Dig under the surface of each piece of content you are posting and give members a VIP look at it. If you are posting an update on lobbying efforts, government relations or a new piece of legislation, create a video, make your trip to the government meetings into an album and post frequent updates. Capture your events on Facebook by posting short videos, daily recap posts and small ‘extras’ like a speaker answering additional questions a prize to the attendee who contributed the most on social media. This experience-driven content will keep members coming back and eager to see what’s next.